As a Gulfstream G550 or G450 pilot, you are going to feel right at home transitioning from one cockpit to the other. 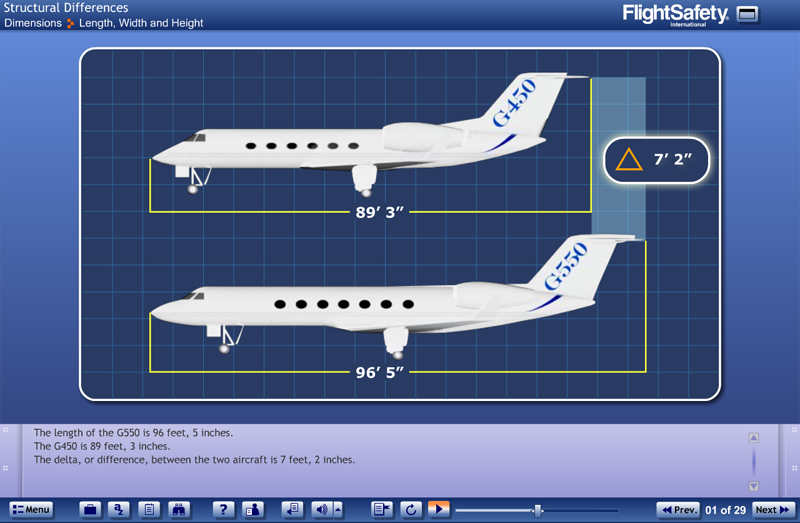 With FlightSafety’s eLearning Gulfstream G550 G450 Differences course, you will learn the aircraft differences that you need to know, including all structural differences, operational differences in the cockpit, and any limitations or performance differences that will affect your flight operations. The Differences training consists of a 90-minute, self-paced eLearning course. 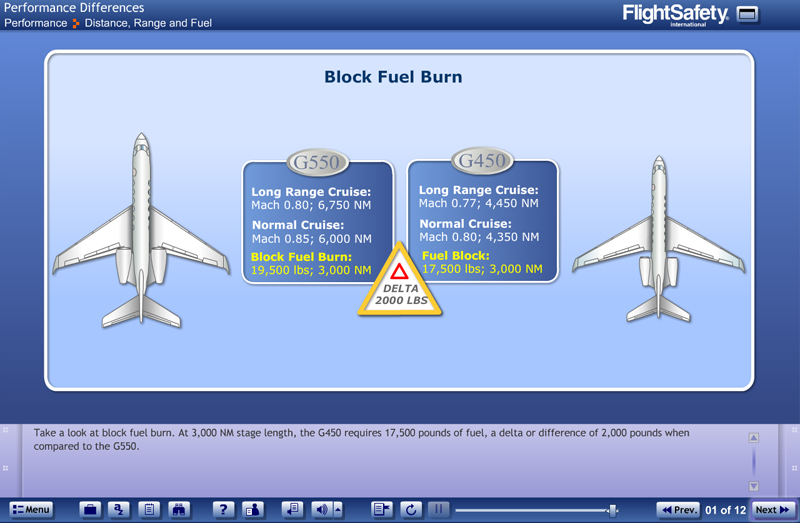 The course must be taken in conjunction with a FlightSafety G550 or G450 Initial or Recurrent training event. After successfully completing the eLearning course and passing the exam, you will be issued a Certificate of Completion. 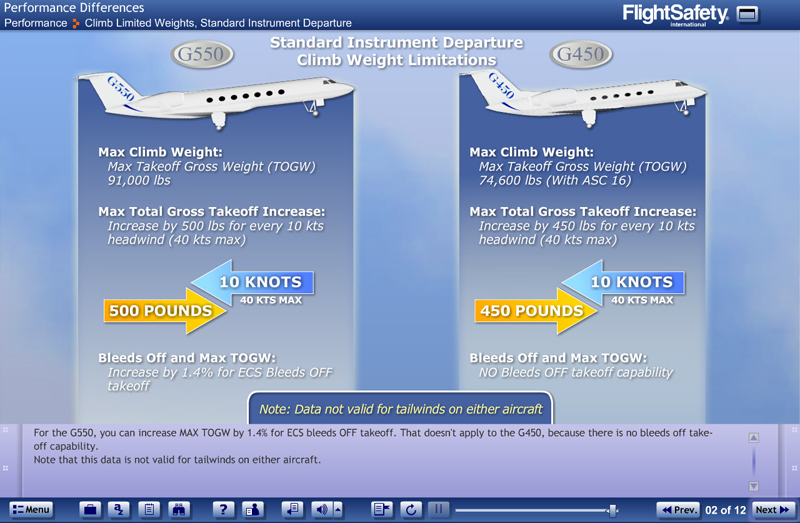 The Differences course expands on the FAA’s Gulfstream GV, G450, and G550 Series Flight Standards Report. 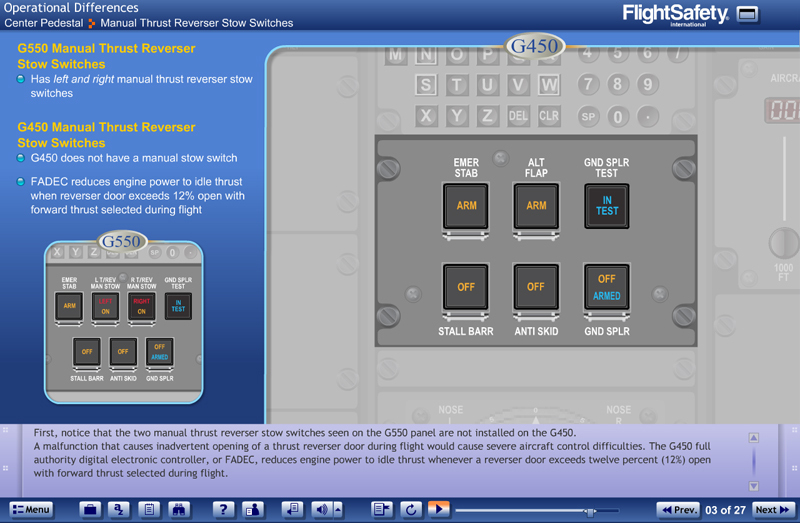 Target Audience: G550 pilots that wish to transition to the G450, or G450 pilots that wish to transition to the G550. Regulatory Requirements: Approved by the FAA, this Differences training is accomplished in accordance with 14 CFR part 135.347.